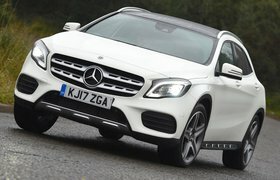 Facelifted Mercedes GLA to go on sale in April | What Car? 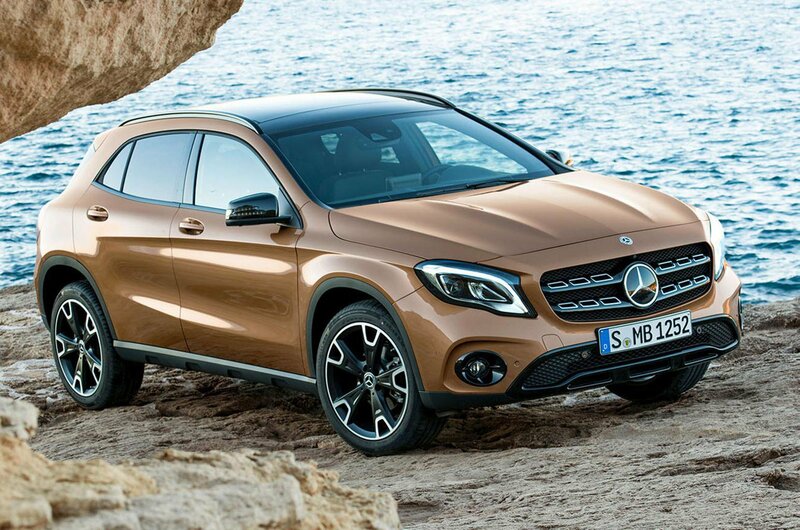 The Mercedes-Benz GLA has plenty to offer buyers looking for a premium small SUV. It's got classy looks inside and out, a decent array of standard equipment and, if you opt for one of the diesel engine options, low running costs, too. That said, it's never been particularly well rated by us, because when you consider its competition, such as the Audi Q3, BMW X1 and even the Nissan Qashqai or Seat Ateca, its so-so ride quality and high list price makes it a niche option. Hoping to broaden the GLA's appeal, Mercedes has revealed this facelifted version, which will go on sale in the UK this April. What's new on the Mercedes-Benz GLA? Among the GLA's visual upgrades are optional LED headlights, new bumper designs, lighter alloy wheels and a wider range of paint colours for buyers to choose from. Inside, new options include a surround-view camera system to aid parking. The GLA's interior was one of our bugbears in the past, because while it looked great, it wasn't ergonomically friendly. New off-road comfort suspension raises the GLA up by 30mm, giving the car greater ground clearance for off-road driving. However, as with the current car, the majority of buyers are unlikely to venture too far away from the Tarmac. What engines can I choose from in the Mercedes-Benz GLA? In the UK, the same three petrol and two diesel options will be offered, meaning the range is still comprised of the GLA 200, GLA 250, GLA 200d and GLA 220d models. Of those, we currently recommend the mid-range diesel 200d version, primarily for its fuel efficiency. If you're looking for hot hatchback levels of performance, then the range-topping GLA 45 4Matic version from Mercedes’ performance sub-brand, Mercedes-AMG, gets a 376bhp 2.0-litre petrol engine, allowing it to sprint from 0-62mph in 4.4 seconds - significantly faster than rivals like the Nissan Juke Nismo RS, and the same time as Audi's most powerful RS Q3. 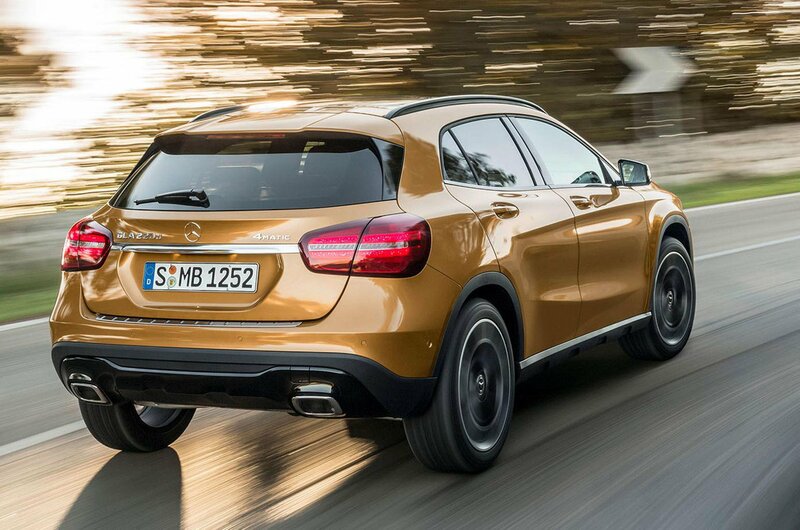 A seven-speed automatic gearbox is standard, and as its name suggests this high-performance version of the GLA gets four-wheel drive. Official fuel consumption is 38.2mpg. The GLA 45 model also gets unique interior treatments, including contrasting red stitching and AMG badging. What equipment does the Mercedes-Benz GLA come with? The GLA gets 'Active Brake Assist' as standard - this is Mercedes' version of Automatic Emergency Braking, and uses radar to detect other cars in front of the GLA. If the system thinks a crash is unavoidable, it can apply the car's brakes automatically. A driver fatigue sensing system, which warns you if you're getting drowsy, is also standard. Other new options include a hands-free boot lid - you can raise and lower the boot lid by swiping your foot underneath the car - as well as keyless entry, sports suspension and a ‘Race' driving mode as part of an AMG Dynamic Plus package. 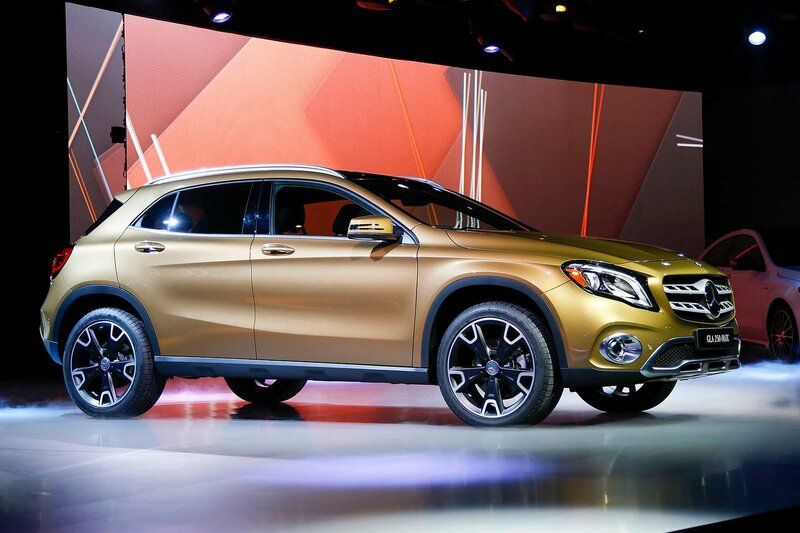 How much will the Mercedes-Benz GLA cost? Mercedes won't confirm official pricing for this updated GLA until closer to the car's launch. 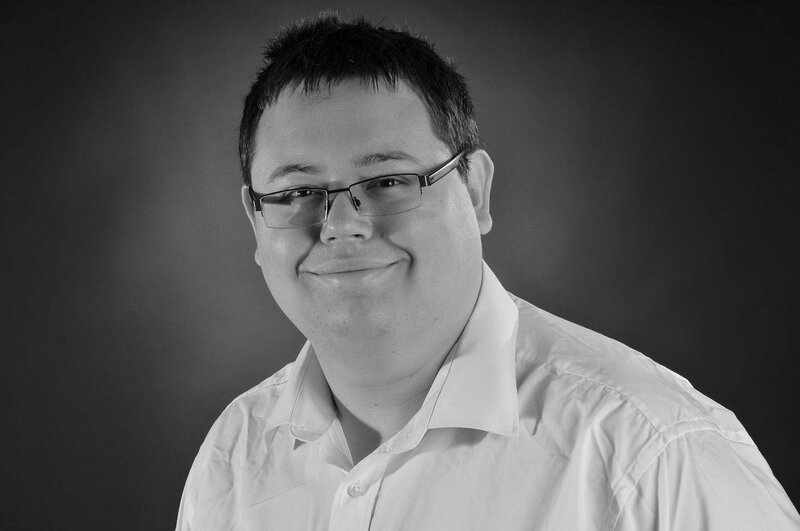 That said, we expect a moderate increase on today's starting price of £25,260, to around £25,800. At that price, the GLA will be slightly cheaper than the Audi Q3, which costs from £26,600, and the BMW X1, which costs from £27,440. Although the GLA's list price will remain fairly high, when it comes to monthly finance payments - which is, after all, how the majority of new cars are bought - the GLA is competitive. 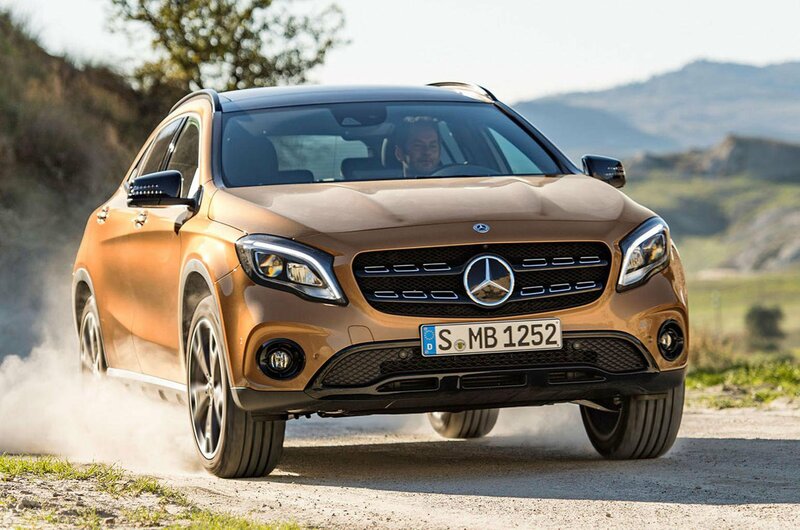 See more of the current Mercedes-Benz GLA in our video, below.